Here is how greed fueled the feud between Harrysong and Five Star Music started. Harrysong was signed to Kcee’s brother, E-Money’s Five Star Music label where he released his biggest song till date, Reggae Blues. 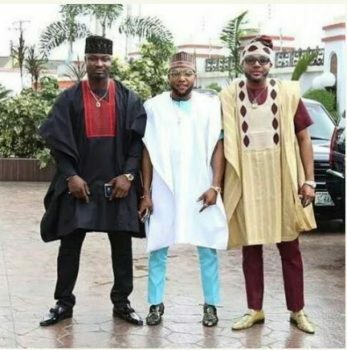 Mr Songs, also known as a writer and singer, left the label unceremoniously and threw shot, that most people believe was directed at his former label mate, KCee. “Doing all these for everyone – both Five Star and outside the platform – is not a problem for me. Sometimes it bothers me that we are beating farther than it is. What bothers me is not the work. What bothers me is the appreciation. You are helping someone but the person feels he’s helping you. “You write a song for someone and the person is telling you that if I don’t sing your song, you won’t blow. It’s childishness. I don’t know,” he said in an interview with Planet TV. This lack of appreciation is believed to be the main reason for quitting the label and starting his own record label. He also revealed that he has been responsible for writing most of the songs produced in Five Star Music. These accusations has made many blame Five Star Music for not treating Harrysong right, however recent findings has revealed the other side of the story, which blames Harrysong’s greed for the split. According to Broadway Africa who spoke to one of the members of Five Star Music who wanted to remain anonymous, Harrysong breached his contract agreement and was making money on the side without the knowledge of the label. According to the source, Five Star Music, had organised an European tour for Harrysong which he honoured but he organised and arranged other performances for himself outside the knowledge of Five Star Music. The label got to know about what they view as an ‘act of betrayal’ but kept mute until it was time for Harrysong to shoot the video for his single, Bakana. The label simply asked him to pay for it himself since he made money off shows that weren’t recurred back to the company. This angered Harrysong and he decided to part ways with them. Harrysong has since launched his own record label called Alter Plate and has insisted that he has no beef with his former record label.